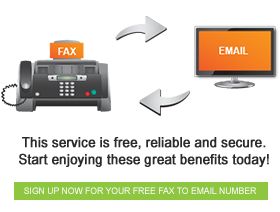 Fax broadcasting has been popularised in the past few years and it has saved companies a lot of time and money. This used to be done solely using a traditional fax machine. One would print the document they would like to fax, scan it and then send it out. Thanks to modern technology this service is also available as fax-to-email. As the name suggests fax broadcasting is sending faxes to multiple fax numbers simultaneously. It is also commonly known as bulk faxing or fax blasting. As if Fax-to-Email in itself was not easy enough to use, we have little tricks that could make it even easier for you, saving you time and money. It is not necessary to send faxes individually anymore, especially if you are sending the same message to multiple recipients. This popular feature saves you time and money as you don’t spend a lot of money on printing paper, ink and electricity in the process of sending a fax to individual contacts. You can broadcast faxes to up to 1000 contacts at a time. This function would be particularly useful to you if you are sending out letters, press releases, and notices. This service is also useful for marketing purposes. You can even use this service as a complementary service for when people have not responded to your emails yet to remind them of the email. Keep in touch with us to learn about new developments and tips to make your business communication easier, faster and more cost effective.